Audi A4 1.9 & 2.0 TDI (DPF) Turbo Charger Failures – Rebuilds / Repairs & Stock Available! The Audi A4 1.9TDi and Audi A4 2.0TDi, both being Diesel Particulate Filter (DPF) models commonly suffer problems with the turbo charger unit failing. 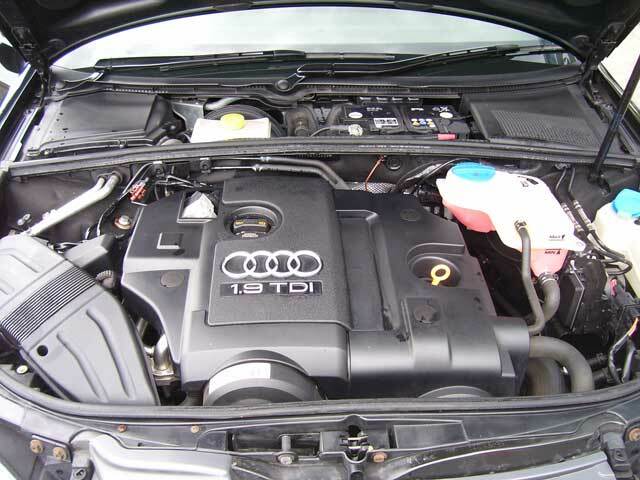 Other common problems for the Audi A4 1.9 & 2.0 TDi (DPF model) is Diesel Injectors failing & Engine Oil contamination. The reason they fail is most commonly due to the Diesel Particulate Filter (DPF), located in the exhaust it is designed to trap soot / ash particles and by doing so, it restricts the airflow of exhaust gasses which in turn will increase the back-pressure. 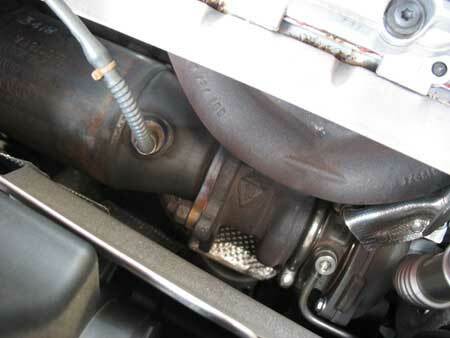 Excessive and long-term back-pressure will put a lot of strain on mechanical components and with the turbocharger being directly connected to the Diesel Particulate Filter, that is most likely the first unit to show signs of failure. Also, it may be the way the vehicle has been looked after. If it has not been properly maintained i.e. regular oil changes and allowing the engine time to warm up a little before a quick run. When you start a turbo engine from cold, the oil will be thick and gunky which takes time to travel around all components. For this reason, it is suggested that when starting the vehicle, allow 1-2 minutes before moving from a cold start. This will give time for the oil to warm up and when hot the oil is thinner which allows it to travel around mechanical components much faster. 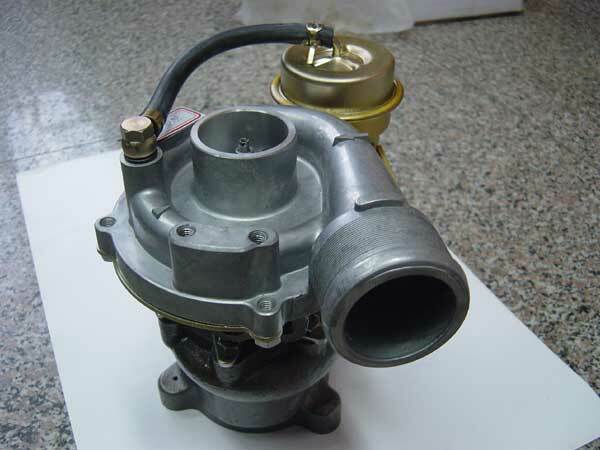 Once the oil is thin, the turbocharger is properly lubricated and spooling the turbo will be much safer. After a long drive where the turbo has been spooled up for long periods of time i.e. motorway runs.. it is advised that before turning the engine off, allowing the engine to stay running for 1-2 minutes while the turbo cools & spools down. Shutting off the engine immediately may result in back-spin which is not good at all and can damage seals, bearings and the fins on the turbines. On a side note, when the DPF get’s blocked it’s a very expensive repair. However, Sinspeed does offer a very affordable & competitive DPF Removal Service so click here to check out what we can do for you if you’re having problems with your Diesel Particulate Filter (DPF). When your turbocharger unit fails, garages & dealerships will advise of having it replaced and most commonly a new unit will be the only choice given to you. The reason for this common choice is you are offered a better warranty on a new unit then you are on second-hand parts. You can purchase a second-hand turbocharger from a breakers / parts shop but the maximum warranty offered will be 30-90 days. What we do, however, is remanufacture your existing unit & where possible, replace it with an exchange turbocharger off the shelf which has been re-manufactured by us ready to send out. If you send your turbocharger to us here at Sinspeed, we’ll strip your turbo unit down and replace all seals & bearings with new & genuine parts which meet & exceed OE specifications. The compressor housing will be machined and fully leak tested to ensure a rebuild of the highest quality before returning the turbocharger unit to you with a full 1 year warranty. In fact, you won’t even recognise the turbocharger as we chemically clean all units before rebuilding them so they look as good as new! 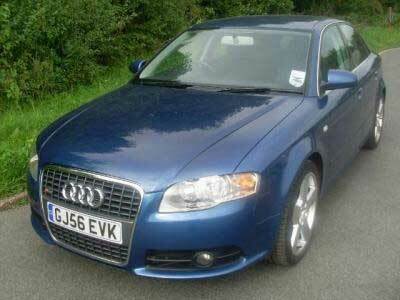 The Audi A4 1.9 & 2.0 TDi (DPF Model) turbo charger failures commonly have damaged fins or snapped turbine shafts. We can still remanufacture these units because we have access to all brand new & genuine parts. We can normally turn around a turbo rebuild in just 24-48 hours. Yes, we do. We aim to offer the most competitive rate fitting services and if you find a better deal elsewhere, we always aim to beat it. We also offer a free collect & return service on your vehicle (dependant of your location) so if you’re having Audi turbo problems (or any vehicle for that matter), then get in touch and find out what we can do for you. Although this article is targeted to our customers with Audi 1.9 & 2.0 TDi’s (DPF Models), we repair all types of turbocharger units for all makes & models. If your unit is non-repairable, we have many rebuilt units in stock ready to exchange & dispatch same day. We also carry new units on some of the more commonly known non-repairable turbos or where new units are the more affordable option. Tags : Audi A4 1.9TDi (DPF Model) Exchange Turbos In Stock, Audi A4 1.9TDi (DPF Model) loss of power, Audi A4 1.9TDi (DPF Model) Supply & Fit Turbos, Audi A4 1.9TDi (DPF Model) Turbo Leak, Audi A4 1.9TDI (DPF Model) Turbo Problems, Audi A4 1.9TDi (DPF Model) Turbo Rebuilds, Audi A4 1.9TDi (DPF Model) Turbo Repairs, Audi A4 1.9TDi (DPF Model) Turbo Whine Whining Noise, Audi A4 1.9TDi Turbo Problems, Audi A4 2.0TDi (DPF Model) Exchange Turbos In Stock, Audi A4 2.0TDi (DPF Model) loss of power, Audi A4 2.0TDi (DPF Model) Supply & Fit Turbos, Audi A4 2.0TDi (DPF Model) Turbo Leak, Audi A4 2.0TDI (DPF Model) Turbo Problems, Audi A4 2.0TDi (DPF Model) Turbo Rebuilds, Audi A4 2.0TDi (DPF Model) Turbo Repairs, Audi A4 2.0TDi (DPF Model) Turbo Whine Whining Noise, Audi A4 2.0TDi Turbo Problems, Audi A4 loss of power, Audi A4 Turbo Common Failures, Audi A4 Turbo Problems, audi a4 turbo repairs, audi a4 turbo seals - repairs and rebuilds, Audi A4 Turbos For Sale, audi a4 turbos in stock, audi turbo, audi turbo charger unit repairs, audi turbo rebuilds, audi turbo repairs, fitting audi a4 turbo, Seals & Bearings - Repairs & Rebuilds for Audi A4 1.9 TDi (DPF Model), Seals & Bearings - Repairs & Rebuilds for Audi A4 2.0 TDi (DPF Model), turbo rebuilds audi a4. Hi ,how much you charge me for turbo 1.9 Audi a4 2006 . Thanks in advance!